8"x12" Cemetery Mini U.S. Flags are suitable for parades, graves and more to remember our fallen heroes. Available in models with or without spear tips, these flags are made of 70%-30%,polycotton, which enjoys the traditional appearance of cotton flags. Secured to a natural wood staff, these 100% made in USA 8"x12" Cemetery Mini U.S. Flags feature neat flat cut edges that ensure a traditional look. 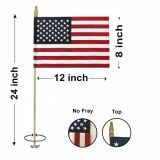 Engineered to be fade resistant in outdoor conditions, these Mini US flags from Tuff Flags can be hand held to wave proudly at parades and are ideal to mark our veterans' graves. Shop now and take advantage of the best prices, quick shipping and much more! 100% customer satisfaction guaranteed! 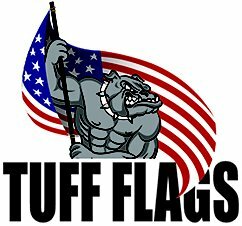 Tuff Flags has a nice selection of cemetery flags to show your American pride and respect to the contributions of our soldiers, police personnel and firemen who faithfully served and often times lost their lives in duty. Beautifully crafted with poly cotton materials, our flags will make a brilliant display and will decorate the graves and bring back the glorious memories of your loved ones. These matte finish flags enjoy a beautiful traditional look and feature a no fray material, which makes it well suited for the outdoors as well as economical. 100% made in USA, these flags feature a traditional flat cut bottom and natural wooden staff. These will make great giveaways during Memorial Day and other commemorative events. Tell the world that our valiant U.S. heroes are never forgotten by showing your love and respect to them with these 8"x12" Cemetery Mini U.S. Flags. 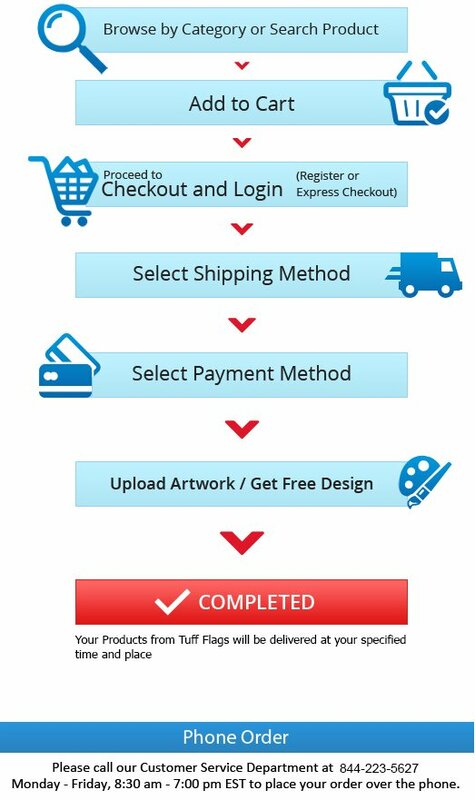 Browse our collection to shop or should you need any tips or assistance call us at our toll free number (888) 287-3524 or you can also email your questions at customercare@tuffflags.com.